Jesus defends Mary from Judas and her other detractors, as he defends the lowly, the brokenhearted, the captives of every kind. For their sake, he will not defend himself. It seems like an eternity since I have written anything knitting related, or otherwise for that matter. 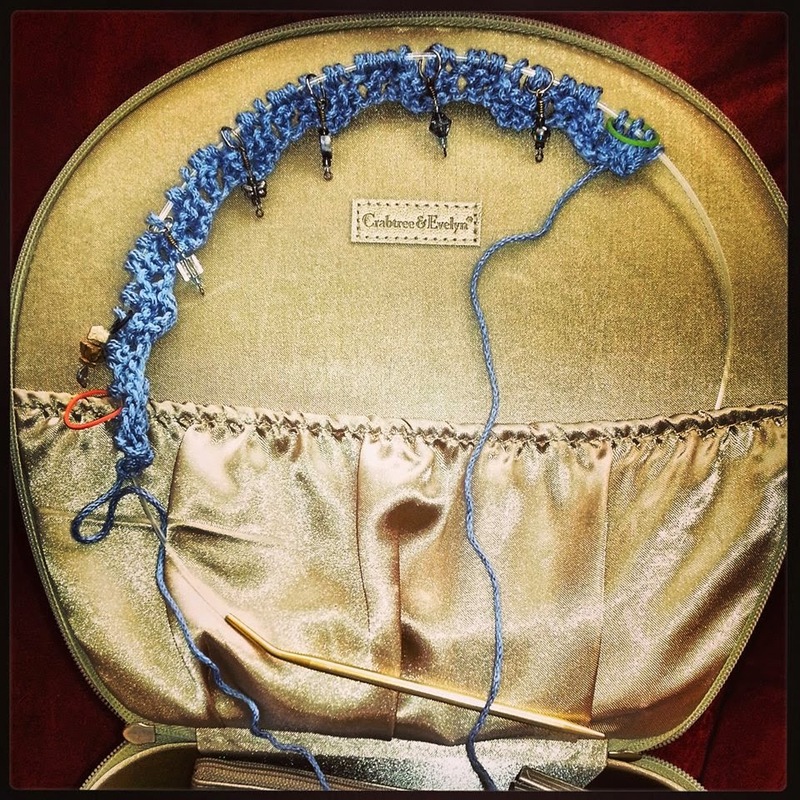 I know what you are thinking: “What heck happen, Miss Regina?” Well, if you read some of my earlier posts, you will have learned a little something about me…when things get nutty for me, knitting tends to take a back seat. A back seat to what, you ask? Well, to life, boys and girls. And let me tell you, I have had a lotta life in the last year! Fortunately for you, I will not revisit all the good, the bad and the ugly, but I will babble on about the present. I started this post with a wonderful quote from the Bible. Doesn’t Isaiah just hit the nail on the head? C’mon! It is the last line of the paragraph that follows that really just took my breath away. Can you imagine a love so powerful? The lowly, brokenhearted and captives of every kind. There isn’t a soul on this planet who hasn’t found themselves in one or all of those categories at some point, right? That brings me to what motivated me to write in the first place. I am knitting a Prayer Shawl. Having been the recipient of one during daddy’s final weeks, I know the comfort they bring. Death, illness, heartache. These are all things that make us captives of suffering and prayer is the only thing that brings that deep abiding comfort of the love of God who became a ‘prisoner’ of the human condition in order to share in that suffering, and to bring us hope and knowledge of the peace to come. Can I get an ‘Amen’? 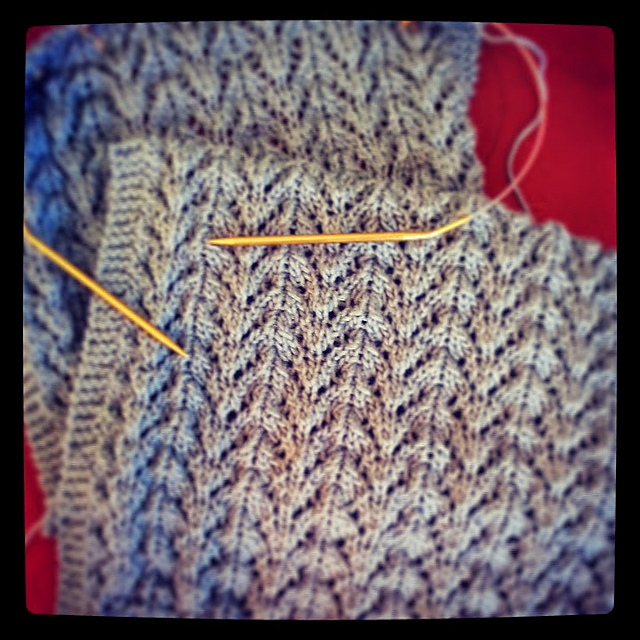 Today I cast on for the Lace Prayer Shawl. I am using a cotton/acrylic blend worsted that was a gift from a friend. It is soft and yummy and machine washable (in case your mascara isn’t waterproof…just sayin’!) I cast on 57 stitches on size 8 aluminum circular needles. I am not crazy about how slippery this yarn is on my needles, but really think the small number of stitches will make it manageable enough. Here is a photo of the first few rows. Check out the cosmetic case I am stylin’. My mom, in her absolute awesomeness gave this to me with the “I’m sure you can find some use for this…you’re clever that way” compliment. Naturally, if it’s portable, it is a suitable vessel for my knitting. Check it out! Can you stand it? A Blessed Holy Week and Passover to all my friends, and remember Keep Calm and Pray! 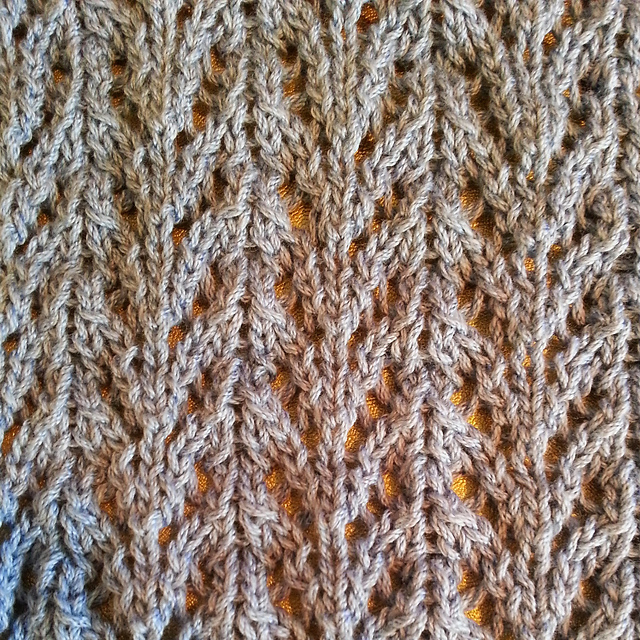 Close up of stitch pattern…lovely!